Satisfy your dog’s urge to chase and swim by training him or her in Dock Jumping! 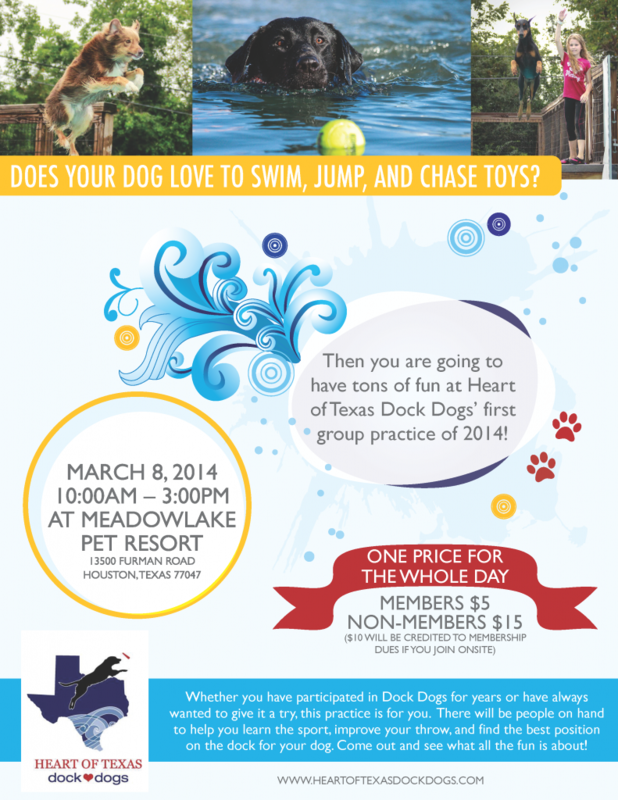 Jumpers from beginner to expert are welcome at the Texas Dock Dogs’ first Group Practice of 2014 – Bring your water loving doggy down to Meadowlake Pet Resort to participate in this educational, fun event. Just $5 for Members and $15 for Non-Members. Call Meadowlake at 713.413.1633 for information.